$1,030.00 (1980) . . . 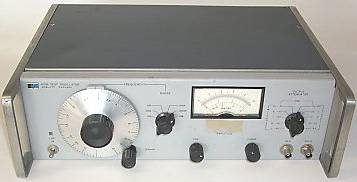 The 651B Test Oscillator is a wide range capacitance-tuned oscillator covering a frequency range from 10Hz to 10MHz with distortion (10Hz to 5MHz) <1%, (10MHz) <2%. The oscillator has a stable sinewave output signal that is adjustable from 10 µV to 3.16 V into 50 or 600-ohms. Two output impedances are provided at front-panel output connectors. The 600-ohms connector provides an output with an impedance that is compatible with transmission lines and man distribution systems. 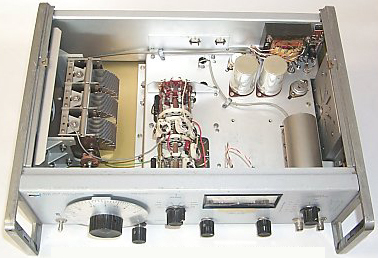 The 50-ohms connector provides an output where a low-source impedance is desired.